Bolna & Sab Tera Together? Simran Kaur's Cover Is SO Amazing! The first time we heard the song Bolna from Kapoor & Sons, we knew for sure that no one was going to get tired of this one anytime soon. The music is soothing and the lyrics so romantic! And here's a cover of the song mashed up with Sab Tera from Baaghi - and it's really as amazing as it sounds… Or maybe more! This track by the very talented Simran Kaur will make you want to just listen to it again and again. It's the ultimate desi mashup - romantic to the core! PLUS: Subscribe to POPxo on YouTube for original videos + our favourite videos from around the web! 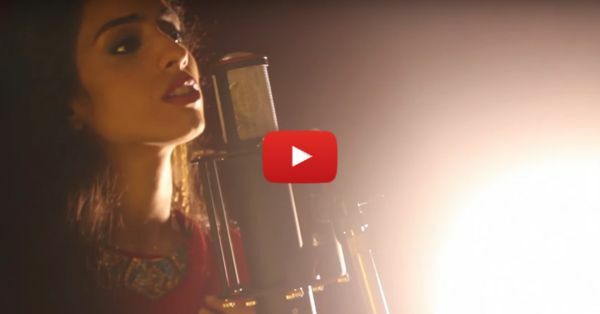 MUST-READ: This Beautiful Adele & Jashn E Bahara Cover Is Our New FAV! MUST-READ: This Beautiful Cover Of “Pehla Nasha” Will Melt Your Heart!